Every year on the 3rd of October, the Day of German Unity is celebrated. The 2017's festivities took place in Mainz, the capital of the federal state Rhineland Palatinate that held the presidency of the Federal Assembly at that time. 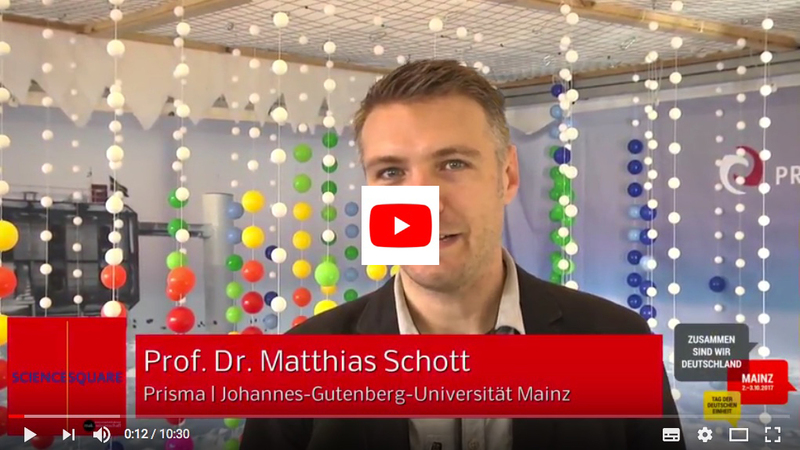 On October 2 and 3, apart from protocolary events a big festival for citizens was the main attraction with insights into the cultural and creative scene of Mainz as well as into the research landscape of the federal state. In the science tent interested citizens and visitors could learn about the physics at IceCube and experience a journey into the depths of the Antarctic ice with 3-D glasses. 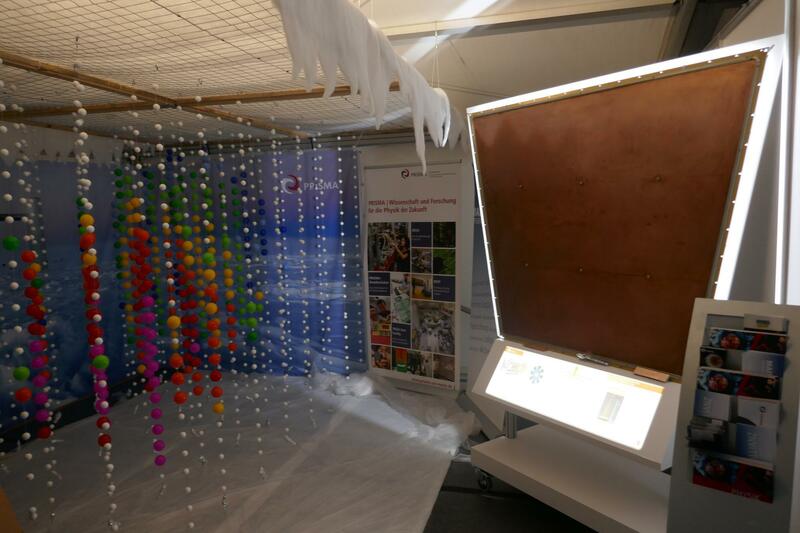 The ATLAS exhibit showed a part of a drift panel that in turn is part of a new detector system at the Large Hadron Collider at CERN that will enable more precise electron measurements. Mainz physicists are specialised in the construction of these very plane panels.